Here is one of the most accurate tool available for DISCovering a child’s personality style. It can help parents, teachers and individuals who work with children better understand them. This is also a great way for a childr to understand themselves better. 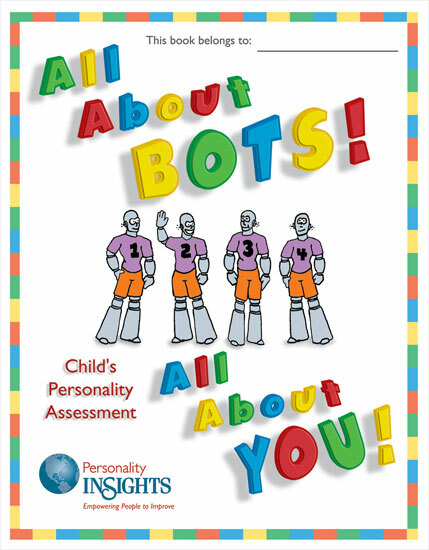 This is a self-scoring assessment that is based on fun stories and scenes with BOT characters (because they look like roBOTS). You will learn insights regarding motivation and pointers on ideal environment and the communication style of the child.